Why do so many people select hardwood floors? It’s hard to put your finger on it, but there’s something about a real wood floor that just brings a room together. In a sense, the power of wood floors extends well beyond the realm of decor. 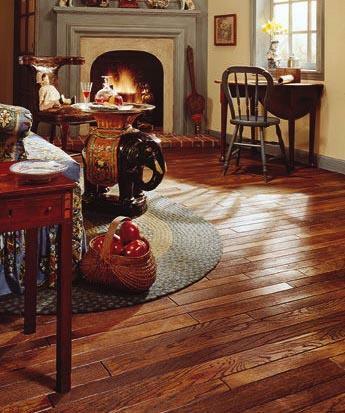 If you believe that beauty holds sway over the mind, it’s not hard to imagine a wood floor as the foundation of your personal sanctuary – a calming influence far away from such worldly concerns as early-morning meetings, traffic jams and obsessive bosses. While we can’t claim to be a remedy for everything life brings, there is one thing we can say with certainty. A real wood floor can make your home look good. A hardwood flooring can be installed on a concrete slab as long as the floor is on or above ground level. They can be sanded and refinished over several generations of use.